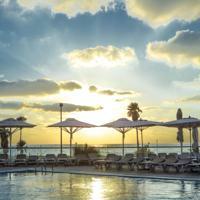 Tel Aviv Hotels Israel can also offer you glitz and glam in Tel Aviv. For swimming, best head to Tel Aviv or Eilat where you’ll be able to windsurf, waterski, sail and part. SEE AND DO Tel Aviv is a big place, and these listings are just some highlights of things that you really should see if you can during your visit. 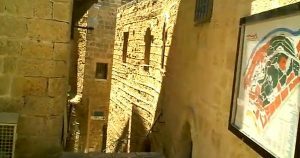 Old Jaffa located in Jaffa is a must see for any visitor to Tel Aviv. This is the reputed point where Jonah boarded a ship and was later swallowed by a big fish. It is also one of the oldest ports in the world. Nearby is Jaffa’s famous Flea Market. Rabin Square. The biggest public square in Israel and site of PM Rabin’s assassination in 1995. Tel Aviv Port. A commercial area in Northern Tel Aviv with bars and nightclubs. 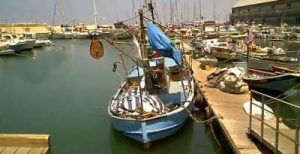 The port was opened on February 23, 1938 and closed on October 25, 1965 when its operations moved to the Ashdod Port. In recent years, it underwent a major restoration program and is now the most popular attraction in Tel Aviv with 4.3 million visitors annually. In 2011, it was announced that the site would be developed to become a major tourist site with recreational and cultural venues similar to Times Square. Dizengoff Centre. Israel’s most iconic shopping centre with a very lively food market every Thursday and Friday. Rothschild Boulevard. A lot of Bauhaus architecture, restaurants and cafes in Tel Aviv’s prettiest street. Tel Aviv Museum of Art. The biggest art museum in Central Tel Aviv. There’s a lot to do in Tel Aviv. You can enjoy in beaches, water parks and performing arts. Looked like a normal day at the beach until it all went a big crazy. The Beach. A visit to Tel Aviv isn’t complete without a dip into its fantastic beach scene which is at its best in summer, especially during Friday afternoons, when crowds of buff beachgoers converge to take in the Brazilian drums, the smell of barbecues, the thwock, thwock of “matkot” as the sun sets. In summer be careful as there are jellyfish sometimes, ask the lifeguard or locals if there are any that day. When there are swarms of jellyfish (quite common at summer time), it’s advisable to stay on the beach and keep clear from the water. Luna Park Tel Aviv is Tel Aviv’s main amusement park. While the rides it has to offer are no competition to ones that can be found in other countries. It should still be considered for a visit by thrill-loving tourists, especially families with kids, since the park has a large number of child-friendly rides. The park has two rollercoasters. It is located very close to the Meimadyon water park. The Meimadyon is a large waterpark very close to Luna Park Tel Aviv. It offers a varied selection of waterslides, both for thrill seekers and for children. During summer vacations the lines get fairly long, so it is recommended to try and visit the park at a time other than summer vacation. Also, Tel Aviv has the widest selection of performing arts in Israel. Fans of classical music might enjoy Israel’s Philharmonic Orchestra and the New Israel Opera. Theatre is mostly performed in Hebrew, naturally, but English interpretation is available is some of the shows for extra-fees in Habima National Threater and HaCameri Municipal Theater. 3 reasons to visit: beaches, nightlife and food. A very special city with great bars and superb beaches and promenade. recommend visiting old Jaffa and museums such as the idf and etzel amongst others. lots of great pubs and restaurants and of course the shuk hacarmel. Tel Aviv Hotels. Shawarma Sheinkin, Tel Aviv, Israel by Cooking for Bachelors. Tel Aviv has an amazing variety of restaurants for every taste. There are plenty of fast food restaurants, both international and local which offer Israeli food. One can get a decent meal including falafel or hummus on every street corner. You can also eat a toast, sandwich or some other snack at one of the cafes around the city. On the other hand, Tel Aviv is called “The city that never sleeps” by tourists and locals alike. It has a wide range of pubs, bars, clubs and it is known worldwide for its nightlife. The entire city is crawling with nightlife attractions and you would actually have to work pretty hard to find yourself further than 500 meters away from a place to have a drink in the city centre. One of the most popular drinks is the local Goldstar beer and at the moment the Arabic drink, Arak (it means “sweat” in Arabic) is all the rage in pubs and bars. Israeli architecture was and is still influenced by the International Style, and specifically by the Bauhaus school, with some local modifications,Tel Aviv Hotels. The Bauhaus approach to design began permeating into what was then Palestine under the British Mandate, and developed quickly and strongly in the emerging state of Israel. The International Style was introduced into the country by young architects, many of German extraction, some of whom had trained or taught at the Bauhaus, most of whom came with their families to to escape Nazism. Others came from Russia and Poland, competing their studies in Europe, absorbing the then emerging ideas of the International Style. The will to build a new society, uninfluenced by older European traditions caught on readily, and the simple forms of the Bauhaus were applied. Tel Aviv contains up to 1000 buildings in the Bauhaus idiom, designed using simple geometry, usually inexpensive buildings on small, regular, parcels of land. The technologwas also simple, using plastered and stuccoed block and concrete construction in a country lacking the elaboration of more traditional and expensive materials. This book describes a heritage that is only now being conserved and appreciated. Take A Break Holidays takeabreakholidays, Tel Aviv Hotels Accommodation.